HOW are Panama and Mashal’s case linked? They reflect varied ways of pursuing justice. But both show how far we are from the rule of law. The Supreme Court could not find a rich, likely corrupt man guilty after long hearing. A mob gave instant ‘justice’ to a poor, innocent boy. One reflects state’s paralysis and one society’s haste in pursuing justice. Pakistan rarely punishes its rulers. The few it has (Bhutto and Nawaz) were via rigged trials under dictators. But politicians still cannot punish dictators even via fair trials given civ-mil imbalances. Panama is the first fair trial against a ruler, that too a sitting one. It could only occur under democracy. When the Supreme Court tried a sitting dictator (Musharraf), it got fired. Clearly, the worst democracy is better than the best autocracy. It is better since it evolves. The last time the Supreme Court heard a case against Nawaz, it got attacked. The Swiss and Panama cases show elected rulers no longer control the court. But future dictators will still begin their rule by upending it. There is at least some move towards the rule of law in democracy. But it is very slow. Panama was one case out of hundreds against the corrupt that the court fast-tracked, after much delay. And there too, it couldn’t sentence a likely guilty person, but rightly so. It could have given populist justice only by breaking the law. No person can be punished unless proven guilty beyond reasonable doubt. Three judges stuck to this legal standard despite their suspicions. Punishing Mashal without process would have been wrong even if he was guilty. Punishing Nawaz without process is wrong too even if he is likely guilty. Quick justice through due process is the right aim. But this has irked those with no patience for legalities. Since state and society are closely linked, this haste often affects state agencies too. So, two justices disqualified Nawaz via the dubious cover of Articles 62/63. Our rulers must surely be ‘ameen’ and ‘sadiq’. But there should be clear criteria for this verdict. If the “beyond reasonable doubt” criterion is too strict for our weak judicial system, we could use balance of probabilities. We can require poll candidates to prove the legality of their family assets. But all this must be decided by assemblies or a larger bench focused on clearly defining Articles 62/63. Sans prior clarity, two judges giving such verdict in a major case reflects judicial overreach. But not asking for such clarity and strong political accountability via its verdict reflects judicial under-reach. Since even a free joint investigation team may not find “beyond reasonable doubt” proof against Nawaz in two months given the case’s vast geography and time span, the new bench may face the same dilemma soon. A technical knock-out based on hiding or falsifying facts or contempt may then become an option. Military coups and courts are other examples of impatience undermining due process within the state. Within society, this haste takes more crude forms, like the Taliban, and mob and panchayat courts. Overzealous agitation is another example. So, while asking Nawaz to resign now is justifiable, hugely disruptive agitation is not. We have paralysed formal courts that free many guilty persons in following due process. We then have military, militant, mob and panchayat courts and judicial overreach that may be quicker but punish many innocent persons by ignoring due process. Which one is better? Liberals prefer the first in the hope it will strengthen with time. 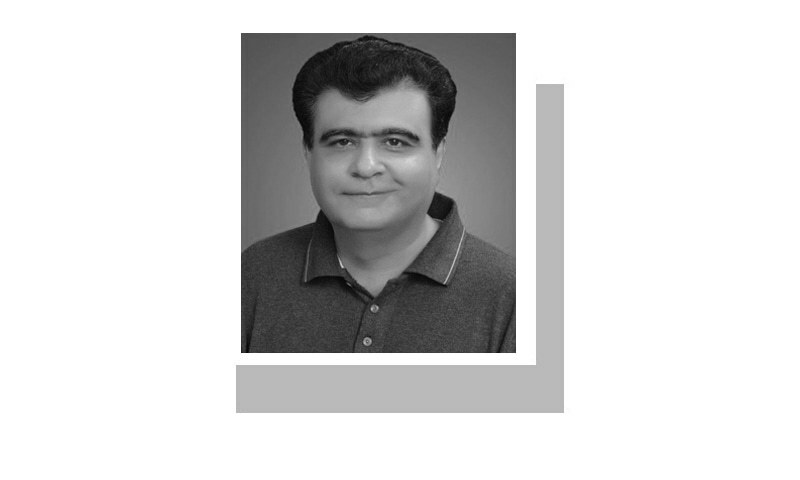 The public usually abhors militant, mob and panchayat courts, but supports military courts and judicial overreach since a thin layer of formality falsely covers their lack of due process. It is said the failures of formal courts encourage people to take the law in their hands. But more likely state impatience — judicial overreach and military coups and courts — does this as people see state officials taking the law into their own hands. My focus is not on giving ‘quick’ solutions but on how soon such solutions will become realistic. Quick justice through due process is the right aim. But it doesn’t emerge from top-down judicial overreach and military coups and courts. It emerges slowly through a bottom-up process where economic progress gives legal high-income sources to most people, making fraud unattractive to them. Pakistan is decades away from such progress and hence the rule of law. Meanwhile, the state must check militant, mob and panchayat courts. With mob lynching for blasphemy, it must amend the law to end its misuse. But it must also tamp the frenzy created by some clerics and state officials. There is no punishment for blasphemy in the Quran but it clearly says killing an innocent person is like killing the whole humanity. Excellent analysis! I wish there were more commentators like Dr Murtaza. The learned author should not have given a reason to this mob lynching phenomenon. This relates with our mostly tribal culture and it will take a few hundred years of this mindset to fade away. Honor killing is another manifestation of our tribal culture where the mob pressures the males to honor kill. In the meantime, the elders of every family must teach their children to stay away from becoming a victim. I don't see any difference... one took the laws into their own hands the other hands down the laws. Some people read palms to tell your future, but I read hands to tell your past. Each scar makes a story worth telling. I'm so sorry to read this article. Even more sorry to say that it is the truth. We're gonna bear the consequences of the non-sensical "National Attitude". Our government needs to respect the rule of law first. Which is never going to happen. Not in decades. We are going in the opposite direction. Please compare how liberal was this country in 40s, 50s, 60s etc. Wish we could say no to petrodollars and Mullah system. Sir, i really appreciate your courage and contemplation. Nation in need of valour intellectuals like you. I would like to mention one thing that is missing in the whole article. If public find speedy justice in taking the law in their hands, it is because of the disconnect between our judicial/administration system and our traditional/tribal outfit of society that has been evolved over a period of centuries. Colonial period has contributed in this clash of traditional and modern approach. Research and education is the only tool which could be used in setting a better direction and in a more organic manner which could absorb all the traibal and traditional systems.